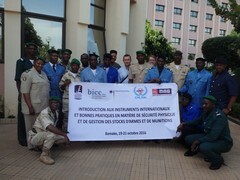 From 19 to 21 October 2016, 19 mid-level management representatives from the Malian Ministries of the Environment, Justice, Defense, Economy, Interior and the military general staff as well as from the National Commission to Combat the Proliferation of Light Weapons (CNLPAL) attended a three-day workshop on good practices and international standards in physical security and stockpile management (PSSM) of small arms and light weapons and ammunition. The training workshop was organized by BICC in cooperation with the National Commission to Combat the Proliferation of Light Weapons as well as the Mines Advisory Groups (MAG) and Conflict Armament Research (CAR). During the opening session, Mr Alexander Plappert, Counsellor at the Embassy of the German Federal Republic in Mali, and Col. Hamaho from the National Commission to Combat the Proliferation of Light Weapons both emphasized the crucial issue of stockpile security to avoid diversion of weapons and called for better arms control and enhanced staff training in this field. 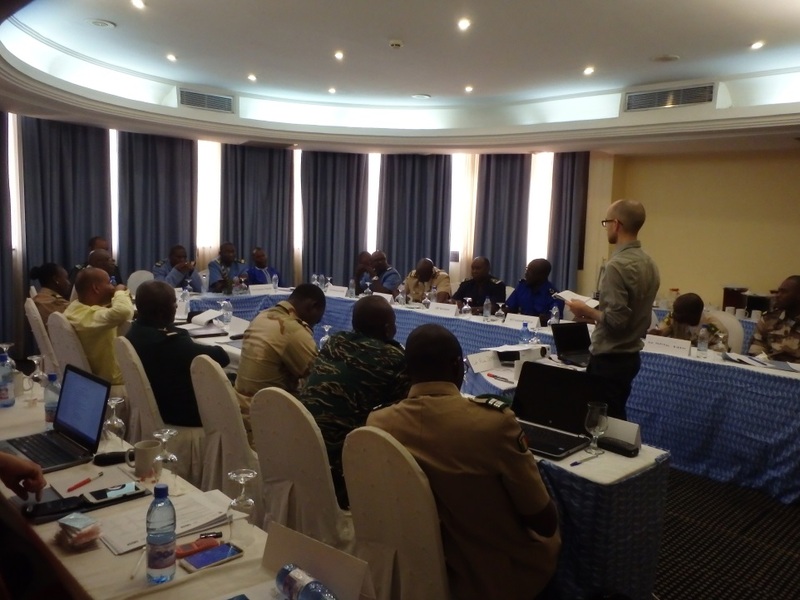 The workshop gave the participants the opportunity to familiarize themselves with international standards—such as the International Small Arms Control Standards (ISACS) and International Ammunition Technical Guidelines (IATG)—and good practices in stockpile security, transportation, accounting, record-keeping and security distances. The participants’ attention was also drawn to tracing and border cooperation in managing illicit weapons and ammunition. Eventually, a substantive part of the training was dedicated to experience-sharing and discussion among participants, which allowed the organizers to identify training gaps and needs. The workshop was funded by the German Federal Foreign Office as part of the project Physical Security and Stockpile Management (PSSM) Capacity Development and Technical Advice in West Africa 2016–2017.